Two Fat Ladies is a Glasgow institution and rightly so. Its homey comfortable surroundings and friendly staff are absolutely wonderful. And then there’s the food – quite possibly some of the best that Glasgow has to offer. The small, welcoming City Centre location is like walking into an old friend’s. The pleasant space is simple and from the moment you walk through the door friendly staff attend to your every need. To say Fat Ladies specialises in seafood is a huge understatement – I’d say they wrote the book on how to prepare the most amazing, flavourful, melt-in-your-mouth magnificent masterpieces. And even if you’re not a seafood fanatic, you could easily be swayed to enjoy it here. The fish is truly that good. Besides, there’s ample choice on the menu for any of those adverse to sea-fare. Their well-priced lunch or pre/post theatre menu (2 Courses £16.50 or 3 Courses £19.50) is an excellent way to sample their menu. Top recommendations go to the delightful pan fried ling on a potato and herb crush with a balsamic tomato sauce followed by the perfect finisher, a duo of Scottish cheeses with Arran oatcakes. 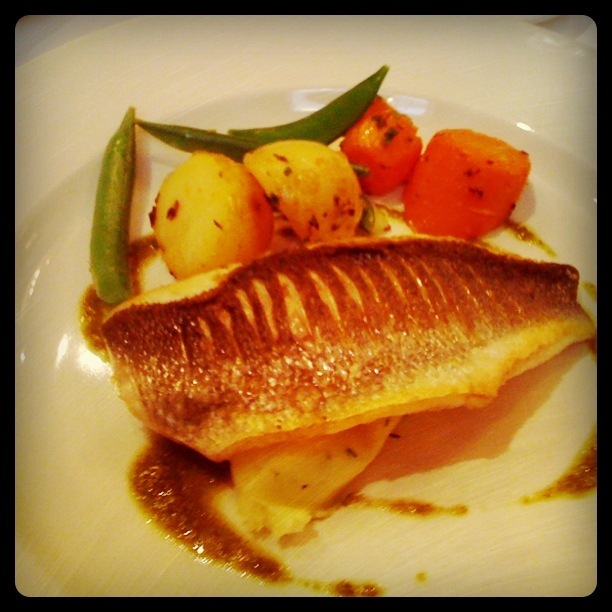 And from their main menu you can’t go wrong with the filleted sea bream with fennel, orange, leek and dill (£19.50) followed by the decadent rich dark chocolate and cointreau delice, chocolate orange ice cream (£6.50) for dessert. Two Fat Ladies’ success is not only evident in their delicious cuisine, but also in the fact that they’ve expanded not once but twice offering luscious food at the original Buttery location as well as a West End and City Centre location. This lovely restaurant certainly left these two thin ladies satisfied and singing its praises. 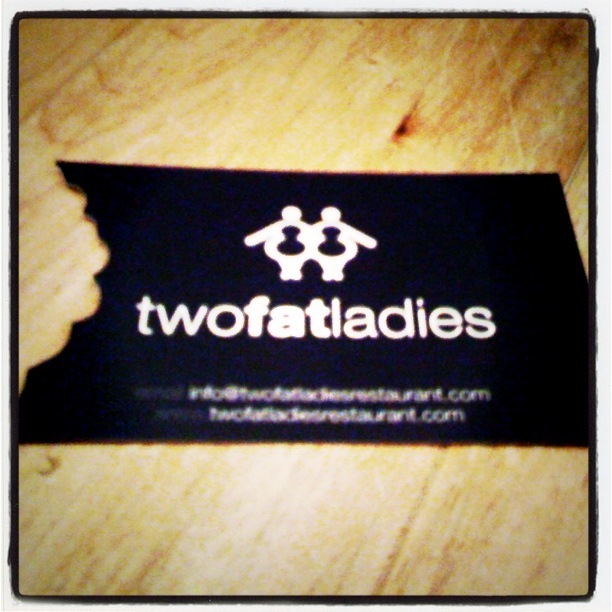 So if there’s one thing you do in 2012, make sure you treat yourself to a enticing meal at Two Fat Ladies. It is not to be missed and its heavenly food and ever-evolving menu will certainly keep us coming back time and time again.